The Blackmud Creek Edmonton real estate market average sold price has fluctuated in the last 2 years from a low of $447,118 to a high close to $550,000. 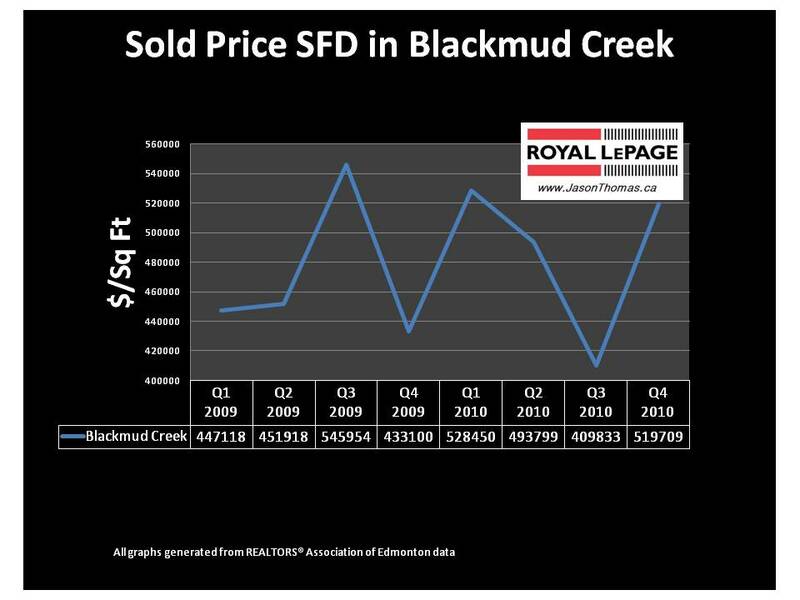 Overall, Blackmud Creek (Southbrook) has improved close to $70,000 from the first quarter of 2009. The third quarter of 2010 was the lowest sale price average for Blackmud Creek, but the 4th quarter quickly recovered. For a comparable market analysis on your home click here.